Robert K. Mensah received his Doctorate of Dental Surgery from Columbia University and his training in orthodontics at Howard University in Washington, DC. Previously, he earned his Bachelor of Arts at Rutgers University in New Jersey. Dr. Mensah was an officer in the US Air Force for eight years, during which he completed his Advanced Education in General Dentistry at Wright Patterson Medical Center. He continues his service as an officer in the Air Force Reserves. 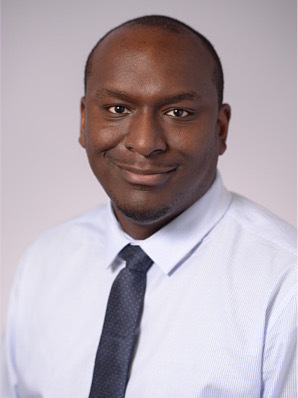 Dr. Mensah is dedicated to continuing his education to sharpen his clinical abilities and judgement, and stay connected with new techniques being used in the field of orthodontics and dentistry. He consistently strives to improve his treatment outcomes and efficiency. In addition to continuing his education, Dr. Mensah is active in the National Dental Association, American Dental Association, American Association of Orthodontists, Middle Atlantic Society of Orthodontists – (Government Affairs Committee), and the Maryland State Society of Orthodontists. Originally from central New Jersey. Dr. Mensah currently resides in Howard County with his wife and two children. In his free time, Dr. Mensah enjoys BBQ, traveling and being with family.